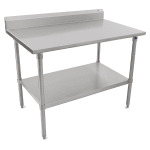 The John Boos ST6R5-3036SSK work table measures 36 inches long by 30 inches wide and is made of heavy-duty stainless steel. When users are working on the table, the backsplash contains messes while the sound-deadened design limits noise production. The heavy-duty top is TIG welded and reinforced by a channel, so it can endure heavy, repeated use. The front stallion edge eliminates sharpness for safety, and the side edges are turned down 90 degrees to line up flush with other tables. 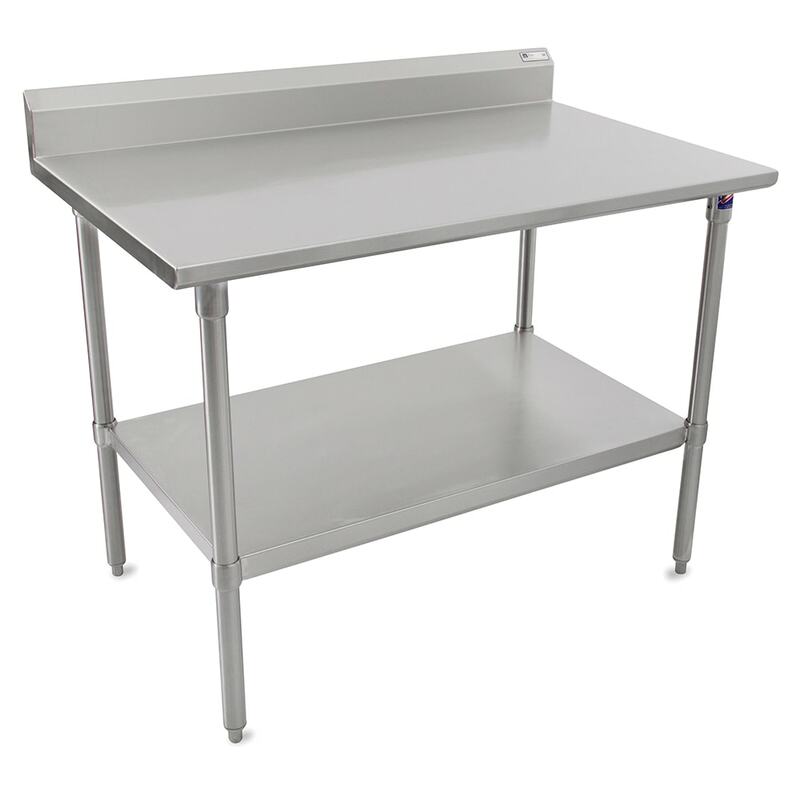 There is an undershelf on this John Boos ST6R5-3036SSK work table that is adjustable, so it can hold a variety of items. More about work tables and their features is covered in our tables and stands article.